What price would you pay to fit in, especially if what you want most is to belong? In the quest to figure this out, teenagers' lives quickly flicker from the mundane to the insane. Friendships form, then crumble, then reform, and all while the world is watching them on tiny screens. "Daily White Toast" is a live cinema experience co-mingling film, dance, theatre and music on stage. Aorere Film Academy once again invites you to experience a story that balances the comedy of growing up with the awkwardness of being young and making stupid mistakes. 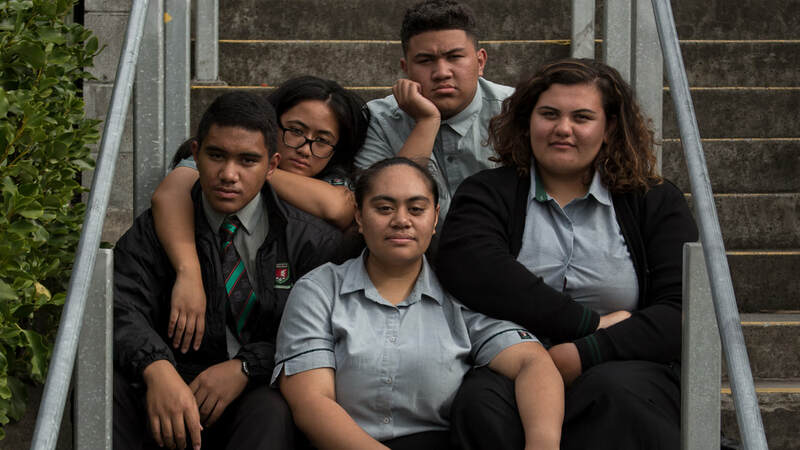 Written and performed by current Aorere College students and alumni, and drawn from their own self-defining experiences, the show will engage you in their struggle to cross boundaries and find a place where they truly feel at home. "Daily White Toast" begins with Serena and JD, two students with rickety social skills. They use their misfit identity to sew together an uneasy friendship which then expands to others who can't quite seem to place themselves in the boxes they are forced in by their families, cultures, and society. The story will give you feels, make you wonder and laugh. But above all, their story will provide a window to a world that might turn out to be more like a mirror. "We are going to start off by saying that, we had only known each other for 3 months before we started writing this script but we guess we knew each other well enough that we ended up writing a whole script in another 3 months. It's so crazy, now that we think about it. In writing Daily White Toast, we really wanted whoever was experiencing our script to be able to relate to it but we didn't want to force it either and potentially stray away from ourselves. It was hard and sometimes stressful to find the right balance of this, especially with a tight deadline chasing after us. Despite this, we were able to develop the script and at the same time develop our relationship with each other. The end product? A story that has a lot of little pieces of us, our family and our community. Hopefully, it is a production that will evoke memories, rile emotions and elicit the audiences own thoughts and deductions of the story line." "This story is very close to our hearts and it is evident in some parts of the script. By adding experiences from our lives, we wanted to make the script relatable and not stray away from the authenticity of our community. The stories we wrote last year respectively called out issues plaguing our society and as we learnt how to weave these themes in using live cinema. We want the youth to watch this and think "I'm going through the same things as they are, so maybe I'm not alone". Similarly, we want the adults to watch and think about the underlying themes we see throughout the show, reflecting on themselves and the way they see the younger generation."